Díaz, Sandra, Fabien Quétier, Daniel M Cáceres, Sarah F Trainor, Natalia Pérez-Harguindeguy, Syndonia M Bret-Harte, Bryan Finegan, Marielos Peña-Claros, and Lourens Poorter. “Linking Functional Diversity And Social Actor Strategies In A Framework For Interdisciplinary Analysis Of Nature's Benefits To Society”. Proceedings Of The National Academy Of Sciences 108, no. 3. Proceedings Of The National Academy Of Sciences (2011): 895-902. doi:10.1073/pnas.1017993108. Douhovnikoff, Vladimir, Gregory R Goldsmith, Ken D Tape, Cherrie Huang, Nadine Sur, and Syndonia M Bret-Harte. “Clonal Diversity In An Expanding Community Of Arctic Salix Spp. 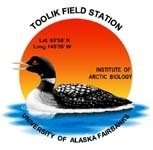 And A Model For Recruitment Modes Of Arctic Plants”. Arctic, Antarctic And Alpine Research 42, no. 4. Arctic, Antarctic And Alpine Research (2010): 406-411. doi:10.1657/1938-4246.42.4.406. Knapp, A. K, J. M Briggs, Scott L Collins, S. R Archer, Syndonia M Bret-Harte, B. E Ewers, D. PC Peters, et al.. “Shrub Encroachment In North American Grasslands: Shift In Growth Form Dominance Rapidly Alters Control Of Ecosystem C Inputs”. Global Change Biology 14, no. 3. Global Change Biology (2008): 615-623. doi:10.1111/j.1365-2486.2007.01512.x.